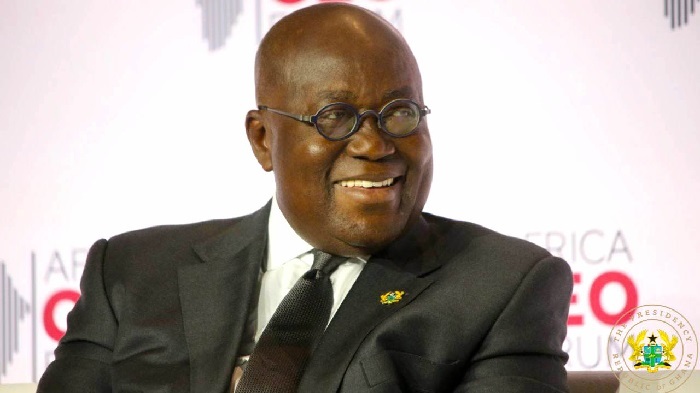 President Akufo-Addo got a special mention at the 32nd ordinary session of the African Union (AU) which opened in the Ethiopian capital of Addis Ababa yesterday. That was for the role the President played leading to the building of a statue in honour of Emperor Haile Selasie I, the late Ethiopian King who served between 1930 and 1974. The likes of Ghana’s great former President Osagyefo Dr Kwame Nkrumah and former Tanzanian leader Julius Nyarere which led to the formation of the then Organisation of African Unity (OAU) in 1963 which has now metamophorsed into AU, all received special mention for the respective roles. Unveiling the statue were Chairperson of African Union Commission, Moussa Faki Mahamat, Ethiopia’s Prime Minister Abiy Ahmed, Ghana’s President, Nana Addo Dankwa Akufo-Addo and Rwanda’s President, Paul Kagame whose term of office as Chairperson of AU came to an end yesterday. Egyptian President, Abdul Fattah el-Sisi now takes over as Union’s chair. It was an emotional moment for lots of Ethiopians who had gathered at the forecourt of the AU headquarters to catch a glimpse of the statue. It follows the controversy generated in Ethiopia when a similar statue of Nkrumah was erected in 2012. At the time, a group of Ethiopian elders, opposition politicians and scholars wrote to the AU Commission voicing their disappointment at its decision to “ignore” the deposed emperor. Haile Selasie’s supporters argued that their man, who became internationally famous for his resistance against the Italians under Benito Mussolini, was a longer-standing supporter of African liberation than Ghana’s founding president. “It is Haile Selassie who is described by African leaders as the father of Africa not Nkrumah,” said Yacob Hailemariam, an opposition politician was reported as saying. The erection of the statue yesterday sought to bring to an end the debate of whether or not the late Emperor is indeed recognized for his role that contributed to the formation of the now AU. At a short but colourful historic ceremony which preceded the opening ceremony President Akufo-Addo was particularly commended for promoting the agenda that led to the building of the statue in honour of the memory of the late King together with that of Dr. Nkrumah which was erected at the AU headquarters in Addis some five years ago. The Emperor was overthrown by the military regime known as Derg, led by Mengistu Haile Mariam, who is currently hiding in Zimbabwe after he was also overthrown in an arms struggle in May 1991.